Dorcas is an Associate Editor for Asia Briefing and is based in the Shanghai Office. She specializes in regulatory and legal updates relating to China’s unique and dynamic business environment. 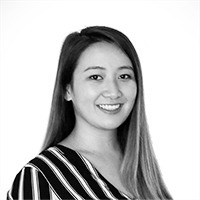 As part of the Editorial Team, Dorcas contributes to both the open-source website content as well as the magazine publications across Asia Briefing’s various regional platforms. Prior to joining Dezan Shira, Dorcas studied Bachelor of Law and Arts (Double Degree) at the University of Adelaide and graduated with Honors. During her studies she completed a one-year exchange at North Carolina State University where she majored in Political Science. She has previously worked as a law clerk at a commercial law firm in Australia predominantly in Corporate Law, Taxation & Revenue and Workplace Relations. During this time, she assisted domestic and international clients on both advisory and litigious matters and co-authored a tax article that was published in the Asia-Pacific Tax Bulletin. Over the years, she has also accumulated a great understanding of the China-Australia business landscape, having been actively involved in the China Business Network in South Australia, Australia China Youth Association and recently completed an internship at the Australian Chamber of Commerce in Shanghai.